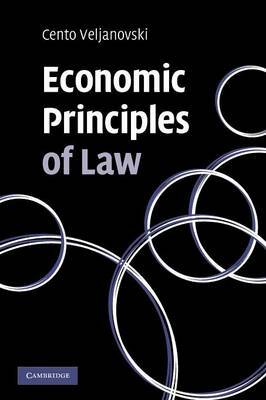 Economic Principles of Law, first published in 2007, applies economics to the doctrines, rules and remedies of the common law. In plain English and using non-technical analysis, it offers an introduction and exposition of the 'economic approach' to law - one of the most exciting and vibrant fields of legal scholarship and applied economics. Beginning with a brief history of the field, it sets out the basic economic concepts useful to lawyers, and applies these to assess the core areas of the common law - property, contract, tort and crime - with particular emphasis on their doctrinal structure and remedies. This is done using leading cases drawn from the birthplace of the common law (England & Wales) and other common law jurisdictions. The book serves as a primer to the wider use of economics which has become increasingly important for law students, lawyers, legislators, regulators and those concerned with our legal system generally.